Venom is a fairly common mechanism in nature that animals use to help them survive. Some animals use venom in a defensive role (e.g., bees) and others use it to help subdue prey (e.g., spiders, shrews, and snakes). Many types of venoms cause little more than a stinging sensation in humans, while others are potentially lethal. 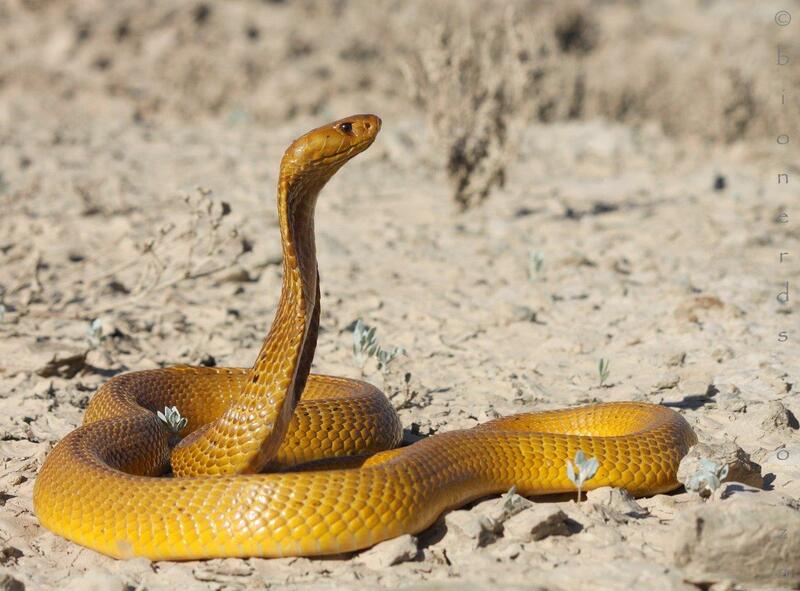 While many people assume that any venomous snake is deadly, that is not an accurate assessment. What’s more, animals that employ venom tend only to use it when necessary, as it requires energy to produce. Reptile venoms are simple to complex mixtures of proteins, peptides, and small molecules. The components within an individual venom sample can range from small allergens to extremely large enzymes, and the specific composition depends on the species from which the venom is isolated. 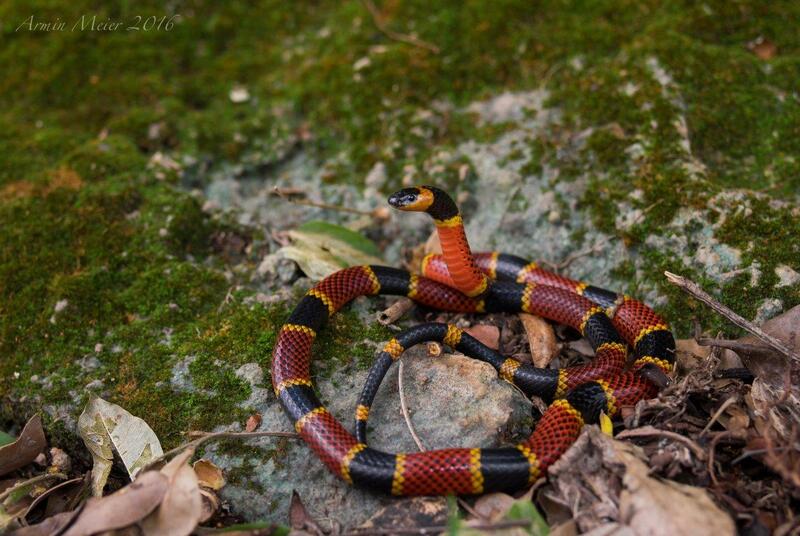 The variation in venoms in the reptile world is incredible, ranging from differences among species at the same taxonomic level to differences among individuals within the same species to ontogenetic differences within the same individual. Although there was a longstanding tendency to lump venoms into the two general categories of “hemotoxic” or “neurotoxic,” these terms oversimplify the effects and compositions. Individual venoms may contain toxins that can function on both (or neither) physiological systems or may affect other systems (e.g., cytotoxins, which destroy cells, or myotoxins, which target muscles). We still have a lot to learn about venom composition and effects, as well as which animals employ them and to what degree. There are many methods employed to evaluate the strength of different venoms, such as median lethal dose or LD50, but understanding the effects and dangers of various venoms cannot be reduced to a simple number. For example, gram for gram, widow spider venom may be five times more lethal than venom from an Inland Taipan snake, but deaths from spider bite are virtually unheard of, partly because so much less venom is injected. Statistics about hospitalizations or fatalities are also apt to be misleading, as the frequency and effectiveness of treatment are highly variable from nation to nation. Furthermore, an individual’s susceptibility to organic proteins can vary (e.g., some people being severely allergic to bee stings), complicating any effort to categorize animals as harmless or deadly. Nonetheless, it is reasonable to describe many species as “harmless” if their bites do not typically require medical intervention. Another noteworthy aspect of venom is not how many lives it takes, but rather how many lives it saves. For example, studies into the venom of the Jararaca (Bothrops jararaca) led to the creation of ACE Inhibitors, which are used by millions of heart and kidney patients worldwide. There are other drugs derived from reptile venoms, and more appear to be on the horizon. All in all, venom is not something that should cause blind panic. We should appreciate venom as a natural adaptation that many organisms employ, and we should treat those animals with respect and even admiration. Rather than fearing them, if we take some time to educate ourselves about their natural history, it becomes a simple matter to live in harmony with them.